1) What made you start skydiving? I had only considered it once as a child and quickly gave up on the idea after I was told that you had to be able to jump off of a 10 foot wall to be able to safely land a parachute. After jumping off of every wall and roof in the neighborhood I decide that it wasn’t for me. Many years later one of my co-workers asked me to go for his birthday and I did. I was terrible! I did everything wrong and didn’t flare the canopy on landing. Still, I was in love. I made my first skydive on May 5th 2005, 13 years ago! I have gone un-current only once in 13 years! That was when I broke my leg while working as a tandem instructor. I started fun jumping again in my cast and just slid in the landings. That’s how you know you’ve got it bad. 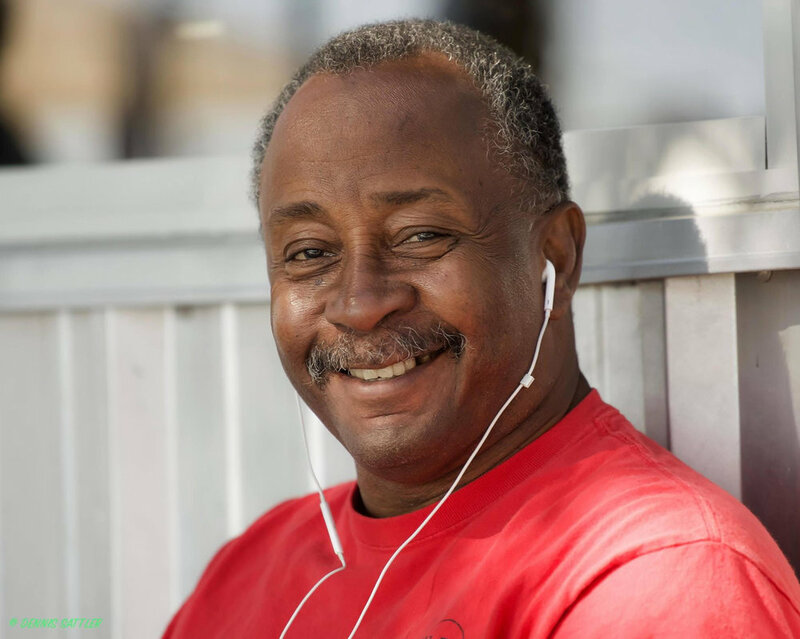 3) How long have you been a tunnel instructor and coach? I’ve been a skydive coach for 12 years—yeah, I’m old—and a Tunnel Instructor for six. 4) How many jumps do you have? How many tunnel hours? I’m getting close to 4,000 skydives give or take a hundred. I’ve been in the tunnel as an Instructor for six years. There’s a debate over flight time and instructing hours but I guarantee I have more than you—you’re in good hands! I’m jumping a fully loaded Vector with custom leg straps (No buckles) and an all black Velocity 96 with an rds! I say that because I grew up in the sport jumping garbage! I have owned and jumped more $200.00 parachutes than most people have skydives. I learned quickly that my favorite color is used so my progression was literally the cheapest trash posted on dropzone.com or whatever was left lying around the drop zone. Would I recommend it? 170 to a 135 to a 150 to a 120 to a 84 to a 94 to end up on a 96? Do you want to skydive? Sometimes you have to make it happen. 6) Have you had any cutaways? How many? 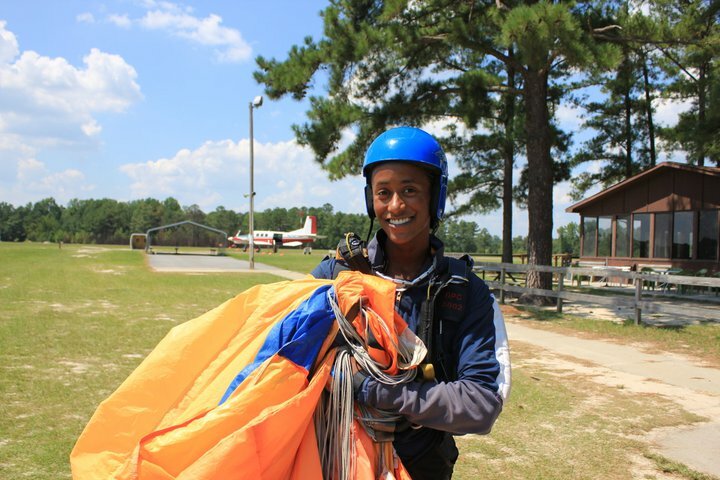 My favorite type of skydiving is swooping and student jumps. I’ve been in the iFLY corporate tunnel six days a week for six years. 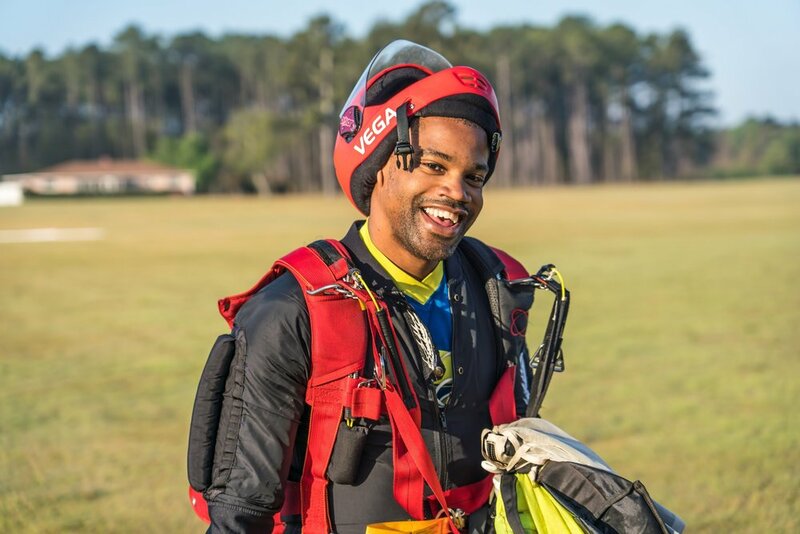 I had close to 3,000 skydives when I started. The dynamic and free fly teams that I train out of Austin regularly take gold. I host a bi-monthly indoor skydiving competition where all disciplines are welcome. I’m on the 86th iteration. I’ve seen a lot and done a lot but what keeps me motivated is when I take a new tunnel flier out of the plane and we set goals and accomplish those goals! Or when I help a new jumper get it!—whatever “it” is—stable exit, tracking, safe and consistent landings etc. Teaching and coaching make me feel alive! That and throwing 630s at the ground are all that I need. 8) What’s my home drop zone? 9) Do you come from an outdoor family? What does your family think of you skydiving? 10) Have you participated in any record jumps? Fun fact… The original World free-fall convention used to be in Oklahoma because it was central between Florida and California. All those cats did was set Big way records. I learned at a Cessna Drop zone so there were no records left to set. 11) What do you like best about skydiving? 12) What does Team Blackstar mean to you? 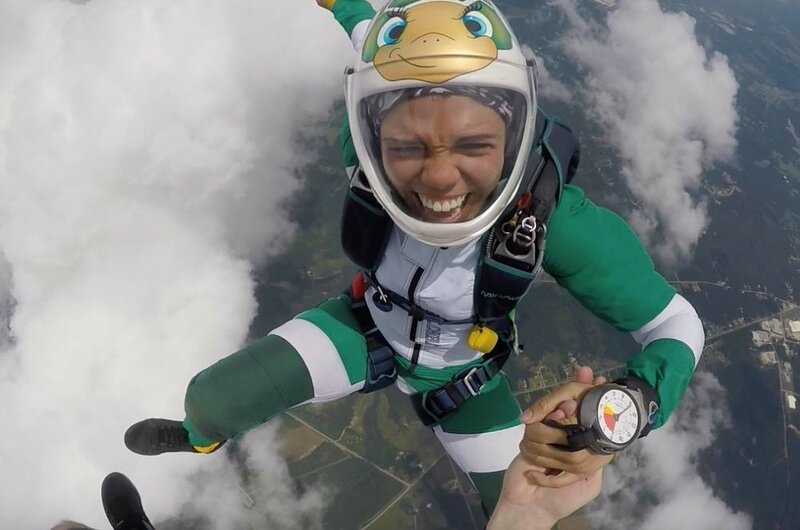 13) What is the most challenging thing you’ve ever done as a skydiver? What was the scariest? The most challenging thing I have ever done as a skydiver or human being was passing my AFF Instructor course before I had the skill to do so. I passed through sheer will and determination. Zero flight skills. 14) If you’re a sponsored athlete please list your sponsors.